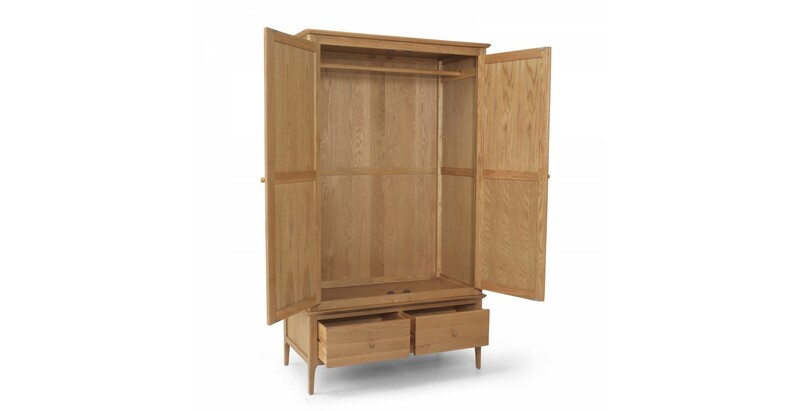 Pared-down to only what is necessary, with everything serving a practical purpose, Shaker furniture’s simplicity is what give it its timelessness. 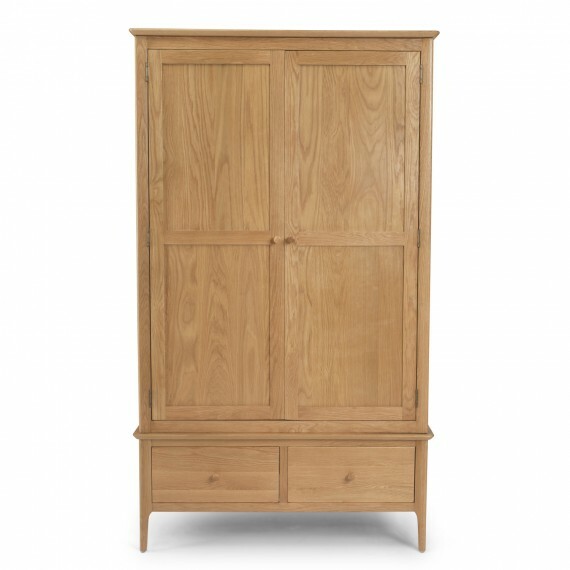 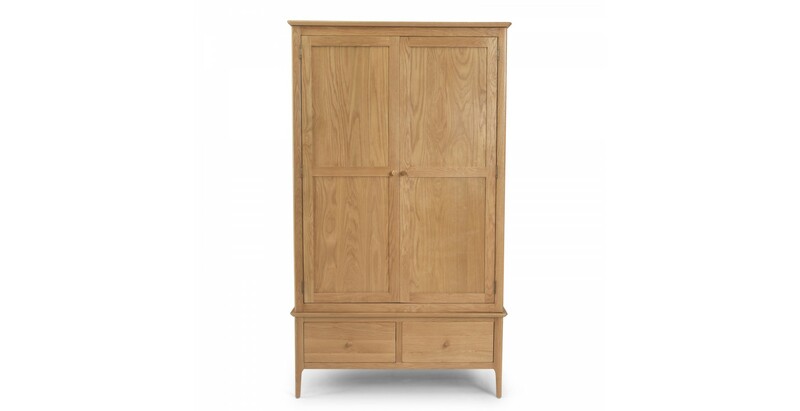 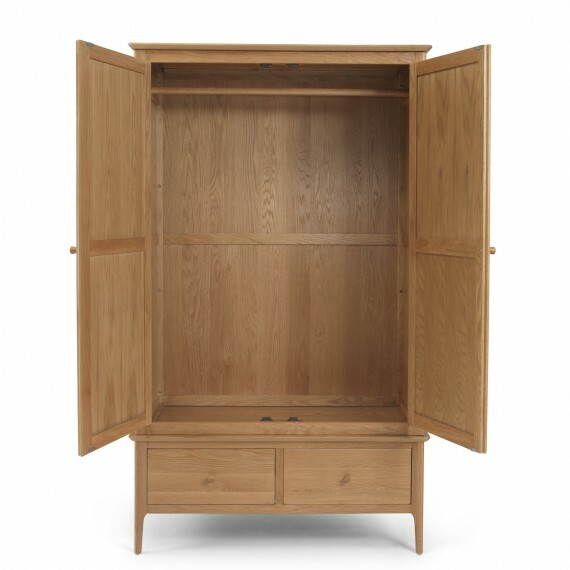 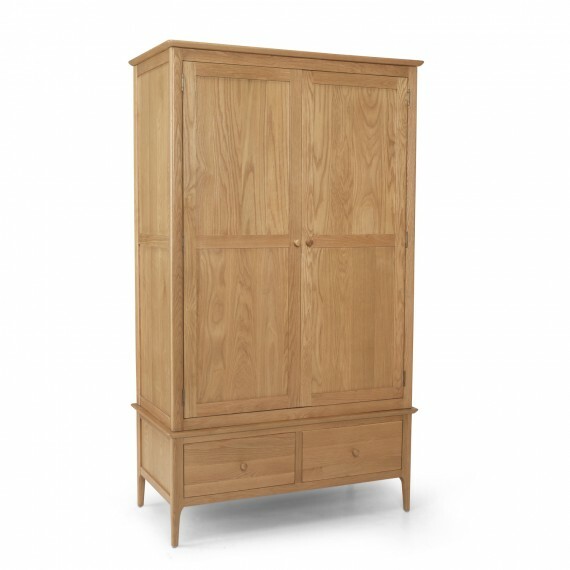 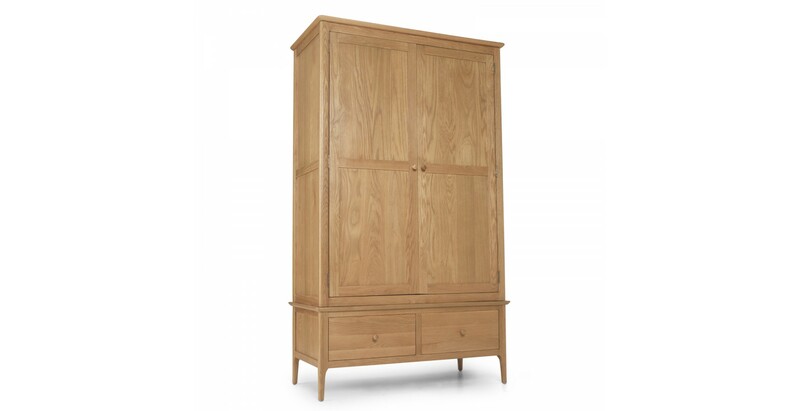 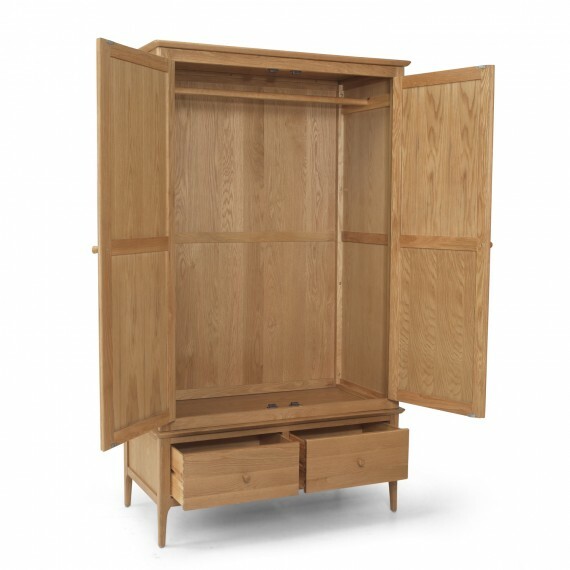 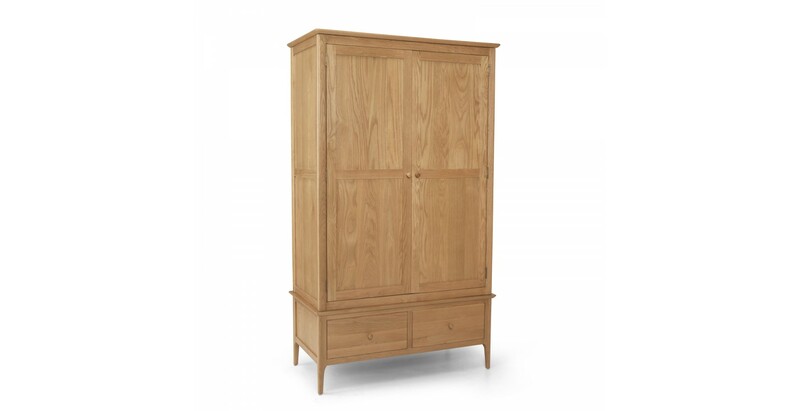 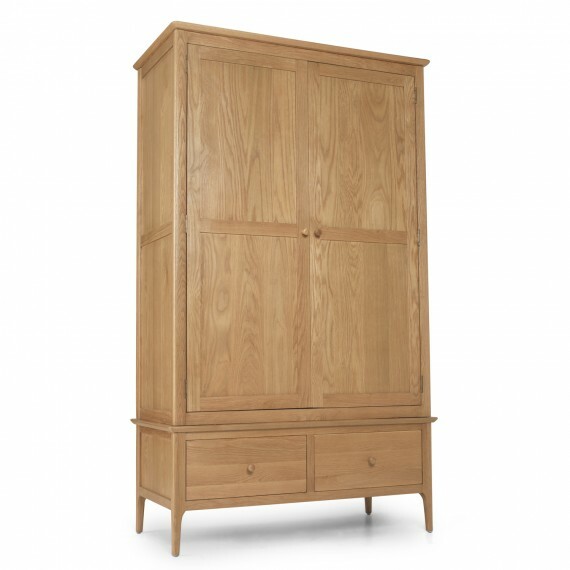 Designed with those ideals in mind, this skilfully crafted oak and oak veneer wardrobe with hand-waxed finish has clean, elegant lines, graceful curves and discreet handles and won’t look out of place in any decorating scheme. 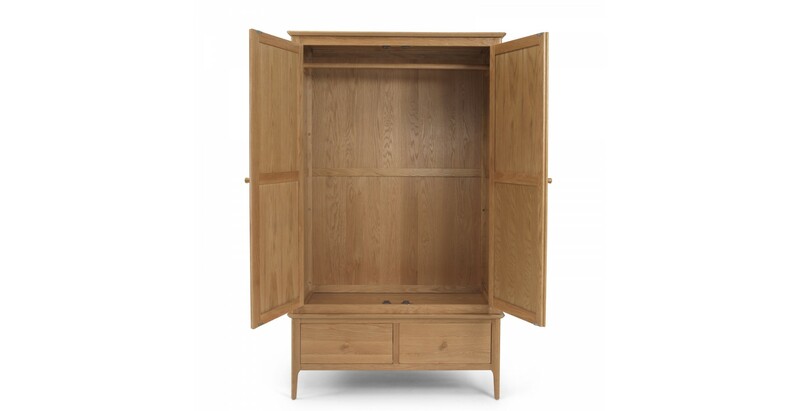 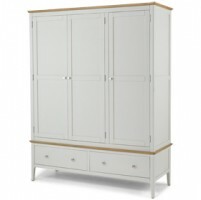 Standing firm on slim yet strong tapered legs, it has full width hanging space behind the double doors, and a pair of spacious drawers at the bottom to look after bulky garments. 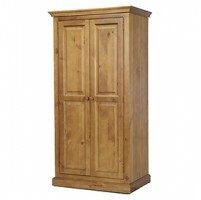  Two sets of handles are supplied –wooden and metal – so you can choose which best suits your room.